Everything was as described. The condo is located across the street from the beach-you can actually see the ocean from the kitchen window if you look between the trees! Most everything is within walking distance! The condo is more than comfortable. We had everything needed for quick easy meals and plenty of towels. The beds were very comfortable. A snow storm was coming in so we asked Seashore if we could have the condo 1 day early. Seashore Vacations was very easy to work with - from scheduling, to arrival thru to check out. We booked with them many years ago and I think they may be even better now. We really enjoyed our stay." Great location and very clean "
We had a great time ! Location was perfect ! " Very nice, reasonably priced property located conveniently close to the beach and Coligny Plaza." We spent from Feb. 1st to Mar. 31st. It was a wonderful time. We enjoyed Surf Court . The condo was clean, roomy and the property well maintained. Working with Buddy and his staff at Seashore vacations was great. I highly recommend using him. " Our overall stay was very nice. I would not recommend this property to anyone though. Place was very dirty." I have enjoyed an excellent experience with Seashore Vacations and with Buddy for many years. They have always been very accommodating and professional . Always a pleasure dealing with them." We were in the area for work, this was a great place to stay. Everything was great! It is nice to stay someplace that feels like home. Very Clean"
Location was excellent. House was very clean and comfortable. Rental agents were very helpful." 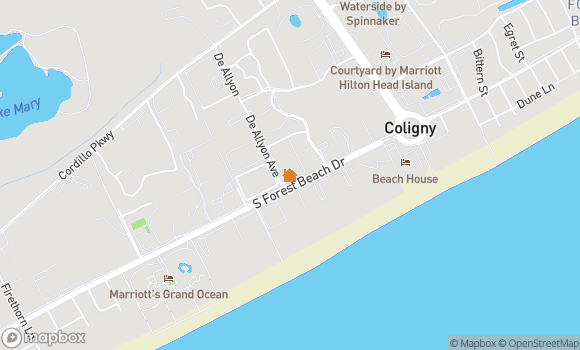 We stay in this unit when we come to HH due to its location to the beach and its just far enough away from the busy Coligny area in the summer but within walking distance. The beach is across the street with easy beach access.14 Surf court has been updated a couple of years ago and has everything you need." "Surfside 14 Great Vacation Rental in HHI! Our short stay at Surfside 14 was wonderful. The unit was clean, comfortable and well stocked. Location is perfect for access to ocean, bike trail and Coligny - as well as everything else in HHI. We never heard our neighbors. We felt right at home. Pool was clean and nicely maintained. We debated between a few other units in Surfside but so happy with this choice. Will definitely rent again." We had tried another unit in surf court last year but returned to visit #14 which had been our regular site for 16 prior years. We were very glad to be back!!!" 3rd time staying at surf court 14. The condo is starting to show a bit of wear- scuffs on the walls, slight wear in the bathrooms with a few lightbulbs burnt out in spots. Overall did not affect my stay- it is still a great condo in a great location. Always my #1 choice in HHI." Beautifully decorated condo, great location to the beach and Coligny Plaza. Our only complaint was that the condo was so dirty. We stayed in the same unit last year and it was spotless, unfortunately that was not the case this year. But as always, the time spent on HHI was great." We have been staying at the same unit since 2010!" The condo was very clean, spacious and conveniently located. " CONDO WAS EXCELLENT; VERY COMFORTABLE, NICELY DECORATED, AND WELL STOCKED - ESPECIALLY THE KITCHEN! ONE OF THE NICEST WE'VE STAYED IN! ENJOYED OUR VISIT AND TIME THERE IMMENSELY! SEASHORE VACATIONS WAS VERY EASY TO WORK WITH AS WELL!" We've stayed at Surf Court for over 20 years. Love the location and mostly the beach! #14 was very nice with amenities ( like hampers!). The owners made sure vacationers had an easy time relaxing in their condo. Also a nice view of the ocean ??" My family vacations here every summer and I decided to try it out in the fall. The weather was fantastic! The condo was great the only problem I had was with the wi-fi and if that was my worst problem, I guess that's not so bad! (I didn't have trouble w/ wi-fi over the summer, so I was a little confused.) Upon arriving I had called in advance to see if I could do a late check out and I was told that wouldn't be a problem but when I actually arrived, the lady didn't seem to want to give me a late checkout although new guests weren't arriving for a few days (which was my understanding) In the end, she let me checkout 2 hrs later but when that day came the cleaning people showed up. They were nice and said that they would just come back, but it sounded like there was a little miscommunication. I would never let those minor things deter me from coming back and all in all it was a great vacation!" Great unit, have rented for last three years"
The pictures don't do this unit justice. This is the most beautiful unit I have stayed at. Everything is quality. The artwork.....love! The kitchen is better stocked than any unit I have stayed at. I would definitely stay here again. The ocean is maybe a five minute walk at most. You can see the ocean from the backdoor and you literally walk across the street through a nice paved walkway and you are there. There is a place to wash off the sand on your way back. At most a ten minute walk to colligny which we mostly took the walk across the street and walked up the beach for scenery on the way. Ample parking there too if you would rather drive. Never had a problem finding parking. I must say Flatbread was one of our favorite places to eat at colligny and frosty frog was a frequent stop for frozen drinks! Had a great time and will be back!" Easy to work with, no problems at all.  Will use again." I never met the management staff in person but on the phone while making reservations, they were very nice and friendly." We usually rent oceanfront properties from Seashore Vacations but our most recent trip was reserved at the last minute so this was not possible. With the advice from Lynn at Seashore she suggested this condo just across the street and it was great! And there is a walkway to the beach directly across the street from the condo so it was a quick walk to the ocean. Would definitely stay here again! " Surf Court #14 met all of our needs! We had a wonderful time there. The unit was clean and updated. The brief walk to the beach was great. The pool was always clean and easy to use from the condo. Great time!" great family beach vacation in HH! Surf court is our favorite location, near everything we need & enjoy and the service at Sea shores was ,as always, 1st rate." Loved this condo, had a wonderful beach view being across the street, was completely spotless, and very very beautiful!" Great location to beach and very nice condo." "First Trip to Hilton Head a good one! We had a great time and the condo was beautiful!" "We loved it and planning to stay again! My sisters and I took my mom on a small vacation for Mother's Day 2012. This townhouse was everything we wanted and needed. Location was great: the beach was a short wak away and everything else was a short drive. We would definitely stay again!!!" a great time and will definatly go again...hopefully soon. The beach access was easy to get to and you can see the beach from the kitchen window. Wonderful and beautiful condo." "A "home away from home"! This property was spotless and beautiful - very well maintained. It was very close to the beach. I highly recommend Surf Court 14 to anyone! Thank you! We'll be back soon!"